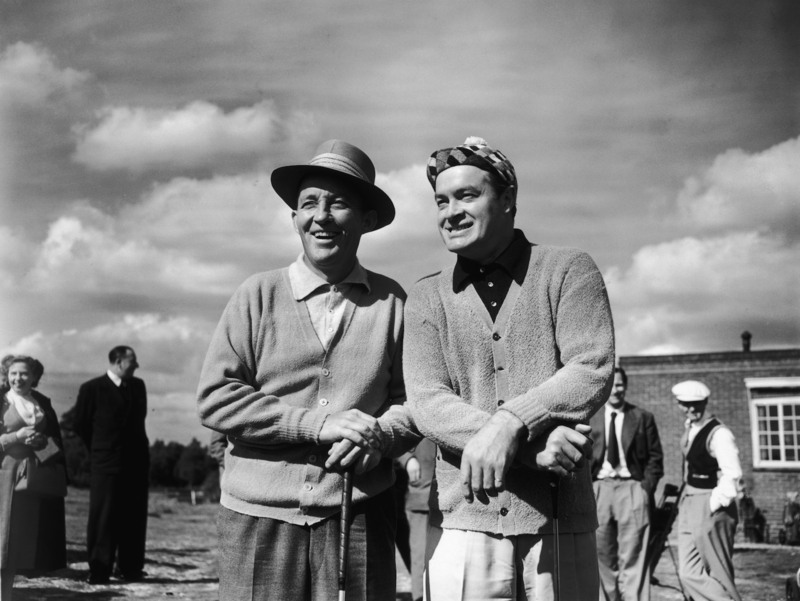 "He's got two hopes of beating me: Bob Hope & No Hope"
Roy McAvoy’s hustling of a guy using tools instead of clubs in Tin Cup isn’t that far fetched. Back in the 1940s, after losing a match to a man known as John ‘Mysterious’ Montague, Bing Crosby took up the offer of one more hole, with his opponent using tools. 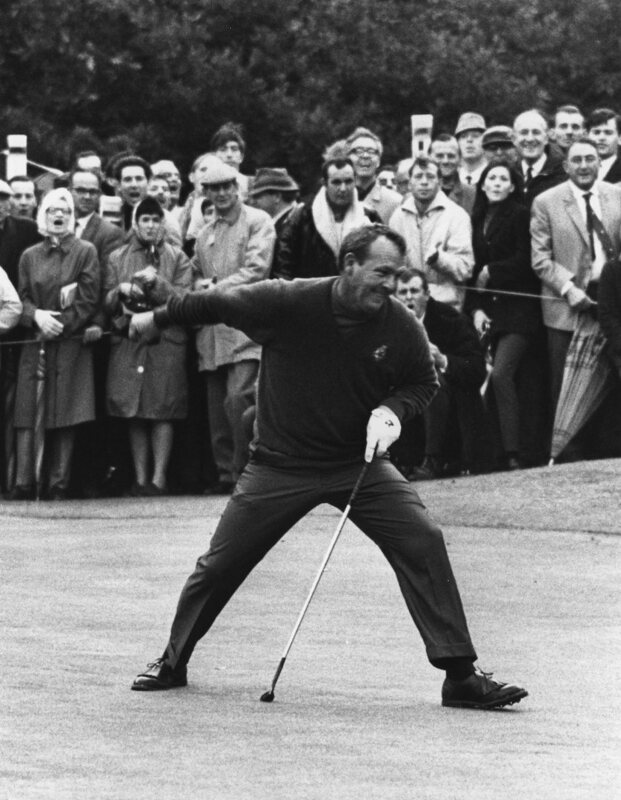 Crosby made a par, as did Montague, using a shovel to escape from a bunker and a rake as a pool cue to sink his ‘putt’. Bing had seen enough and stormed off; clearly it wasn’t A Time To Be Jolly. 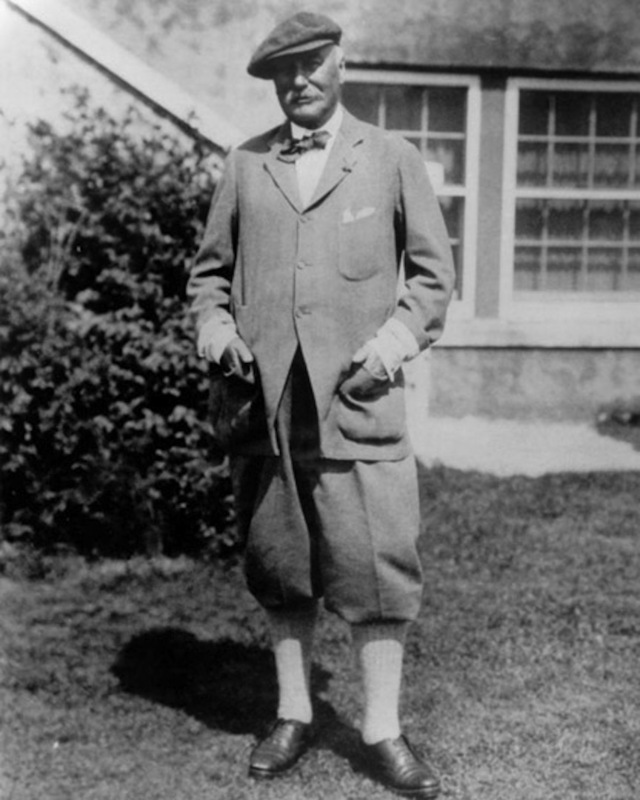 Back in the day when men wore monacles, in possibly the most expensive golf shot of all time, Peter Grace took a bet with his uncle, Charles Blair Macdonald, The Godfather of American Golf (built the first 18 hole course The Chicago Golf Club). Blair McDonald was also founder of the National Golf Links on Long Island, New York. 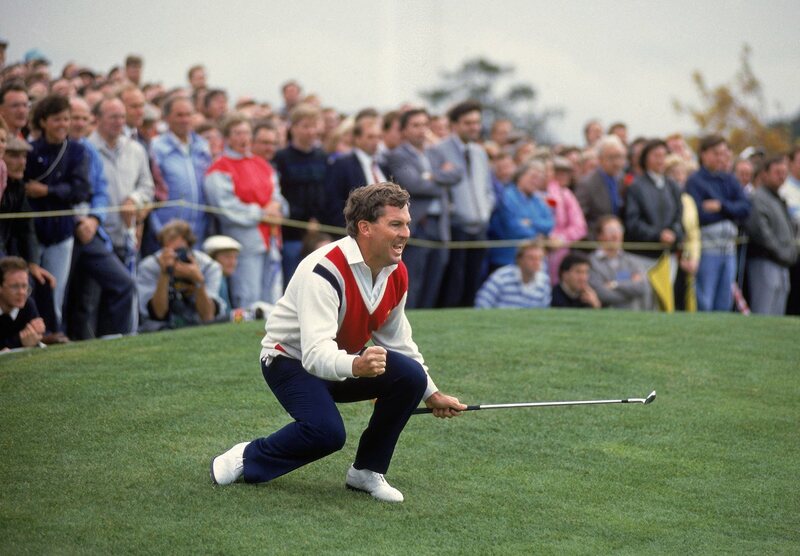 Grace bet Blair McDonald that he could drive the first green there. He did, but Macdonald was so furious that he wrote his nephew out of his will the same day, costing Grace about $1 million in the long run. "Yess! That's thru'pence ha'penny you owe me, Mr Hogan!" 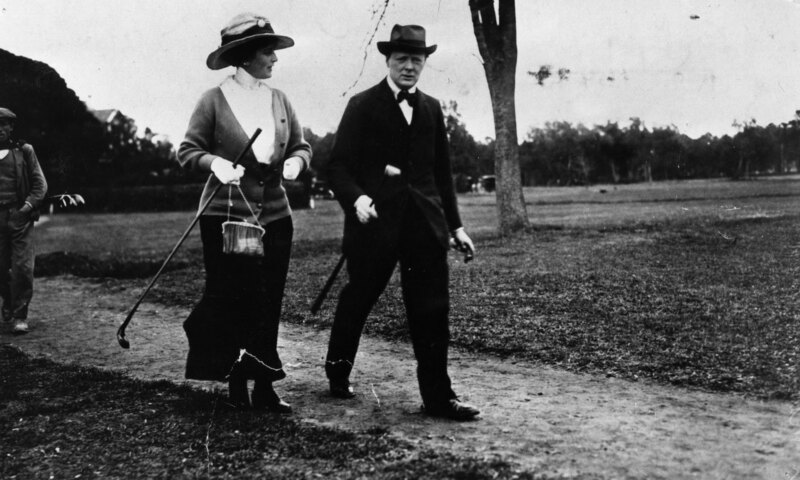 "I say, Maude, it's one of those new fangled-electronic-seeing-engines"
Though Winston Churchill was not much of a golfer, he did possess a ferocious political zeal, and would pursue anything that could further his own career. In the early 20s, playing with then PM David Lloyd George at Walton Heath, Churchill faced a putt on the 18th for the match. Turning to George, he said, “I’ll putt you for the Prime Minister’s office.” Churchill missed, but did not have to wait long to move his niblicks into Number 10. "Winnie, call the Padre, it's time to get hitched!" Before he turned pro in 1954 and became ‘The King’, Arnold Palmer was an amateur hustler. Fresh out of the Coast Guard and desperate to marry his girlfriend, Winnie, he was invited by friends to play Pine Valley, but was told not to expect to score well due to the difficulty of the course. With this in mind, his friends offered him a bet. 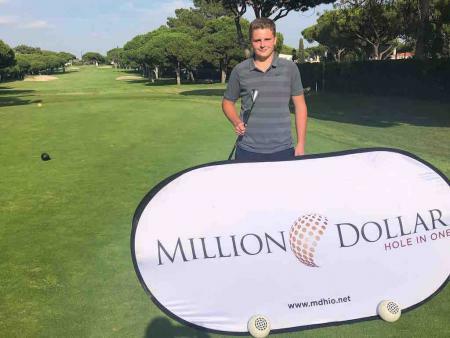 For every shot over 80, he’d pay them $100, while they’d match the bet for any shot under 80. The result? 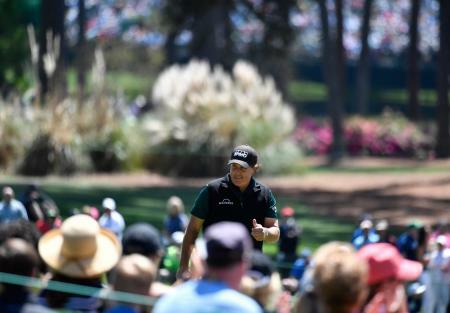 Arnie carded an easy 68, folded $1,200 into his pocket, bought the ring and married his Queen.